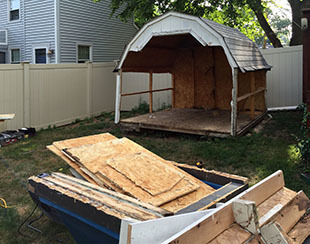 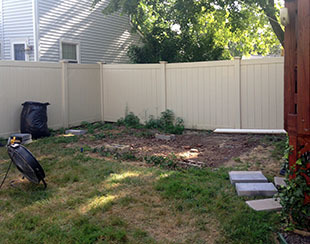 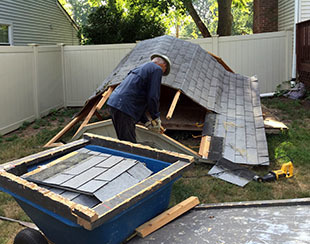 These homeowners had a perfect corner in their yard for a Five Star shed...but first we had to tear down and remove the existing one. 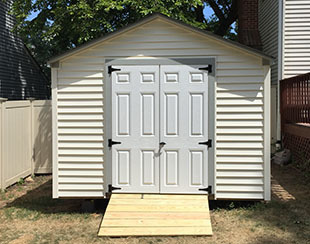 We replaced it with a Potomac style shed with 6 foot sidewalls allowing for more storage than the current 4 foot walls of the barn style shed. 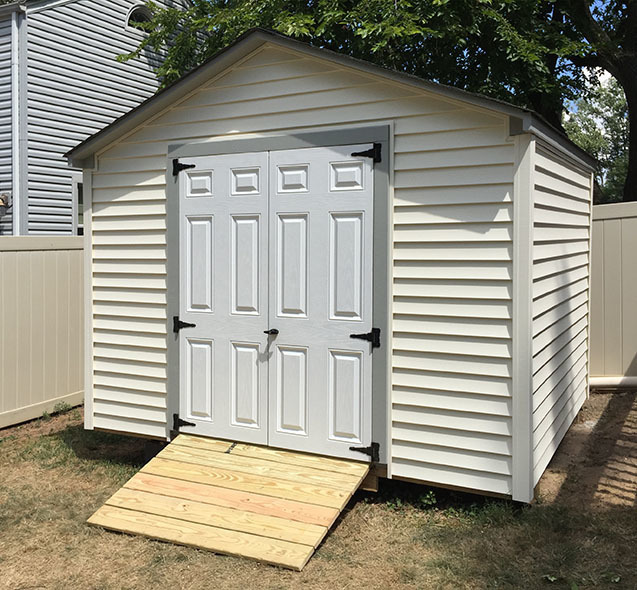 To match the house, we used vinyl siding in Sandstone Biege and they chose a lovely accent of Silver Clouds trim paint and white 6 panel fiberglass French doors. 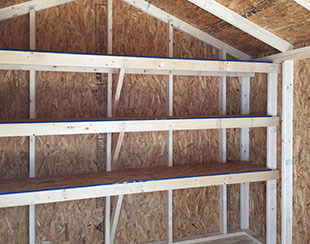 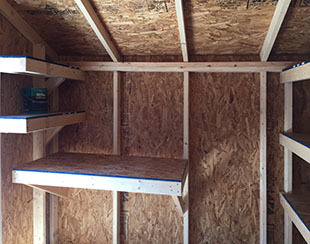 We measured the items they had to store and customized extra shelves to fit their needs, leaving just enough room to fit a small workbench. 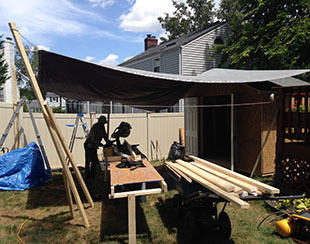 Excited and anxious to fill up their new shed, we built a tent for the heat to allow us to complete the project on time. 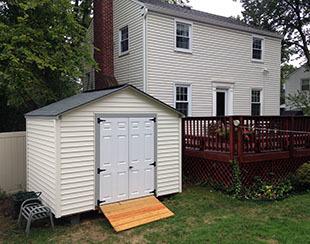 The extras featured here are a 4 1/2' wide ramp and 4 1/2' fiberglass French doors.